We had an incident this morning that involved a boy and a broken lamp. Not just any lamp, but a beautiful glass lamp filled with shells that was given to me by my grandmother who passed away this summer. These were shells she had collected throughout her lifetime, on beaches in South America and beyond. I heard the crash and raced down the stairs. My husband got there first, and let me know what had happened. I prepared myself for it before I surveyed the wreckage, and still I had a fit of uncontrollable sobs. It is hard losing someone you love – and something that connects you to them. Everyone in the house had the good sense to leave me alone for a few minutes so I could pick up the pieces – literally and figuratively. There were shards of glass everywhere, mixed in with what I thought would be shards of shells as well. But as I gingerly picked through the mess, I marveled at a beautiful thing I could only believe was a little gift from God. Though the lamp had fallen quite a distance, not one of the shells had broken. Tiny, beautiful shells. Medium, delicate shells. Larger shells, gleaming in all their glory. Not one of them any different than when they’d been encased in their fortress of glass just moments before. 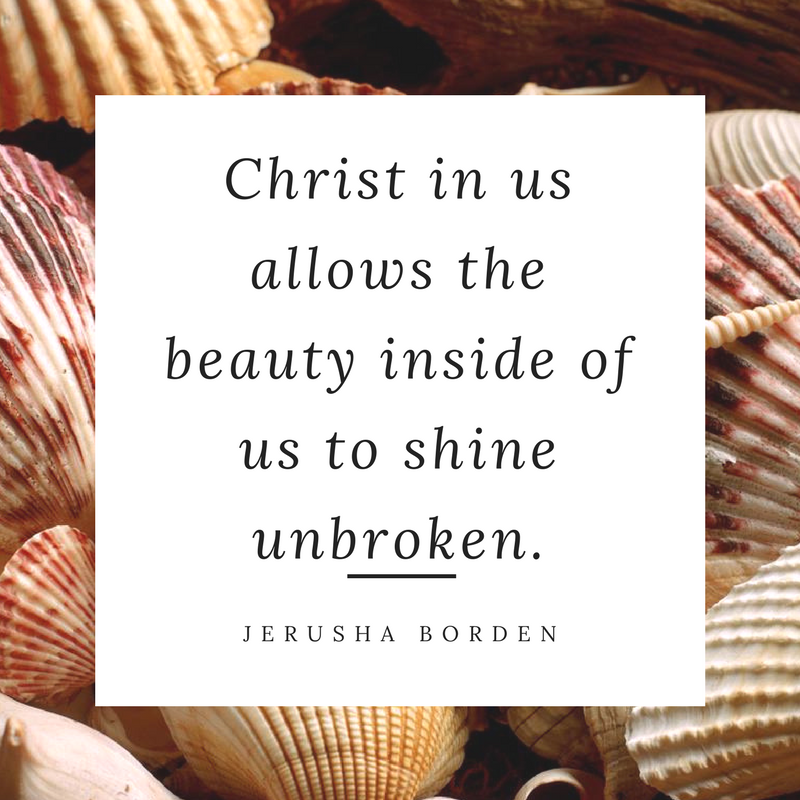 The beautiful, unbroken shells reminded me of Christ in me. It reminded me to pray for grace and forgiveness for the son that had ruined a beautiful treasure. And while I was praying, I remembered it was just a lamp. My Grandma who I deeply love and greatly miss is still in glory, where she belongs – at peace with our Saviour. She would have told me to dry my eyes, pick up my broom and sweep up the mess. She would have told me to hug my son and tell him I love him. She would have told me Christ is the real treasure, not shells. So that’s exactly what I did. My heart was mended, my floor was cleared of debris and mopped. My son was put at ease and reminded of my love. And I was reminded of Christ’s love for me. I’m sure I will find a new home for my shells. But now, whenever I look at them they’ll have a deeper meaning than some shells Grandma picked as she walked along the shore. Now, they’re a tangible reminder of Christ living in me – and that’s a beautiful thing. 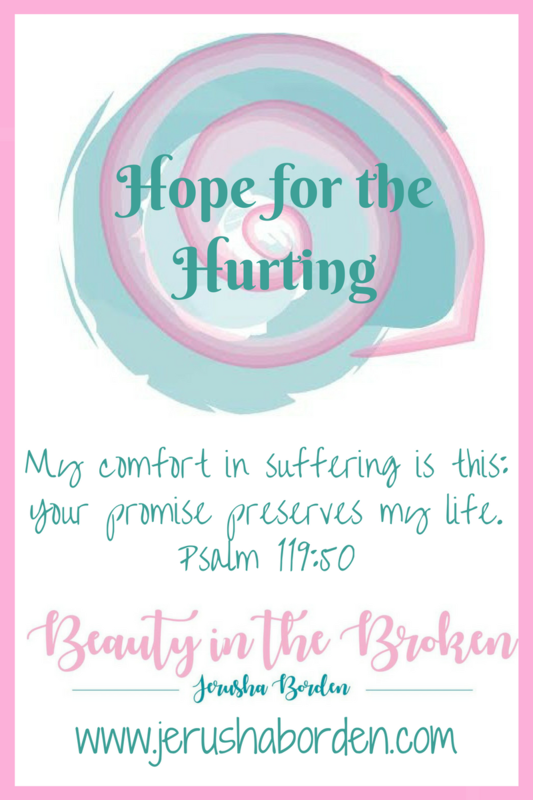 This is such an awesome story of how God reminded you of His love amidst a hard circumstance! I’m so glad none of your shells were broken!